The feng shui of a house is determined by numerous factors, both outside and inside factors. Many feng shui masters affirm that if the outside feng shui of a house is overpoweringly negative, there is no point in improving the feng shui of the inside of the house. Now, you might ask: "Does my house have bad feng shui because it is next to the railroad?" Well, in order to answer this question, much more info is needed, such as how close is your house to the railroad, what is the exact positioning of the house in relation to the railroad, are there any mature trees or any natural bodies of water nearby, etc. 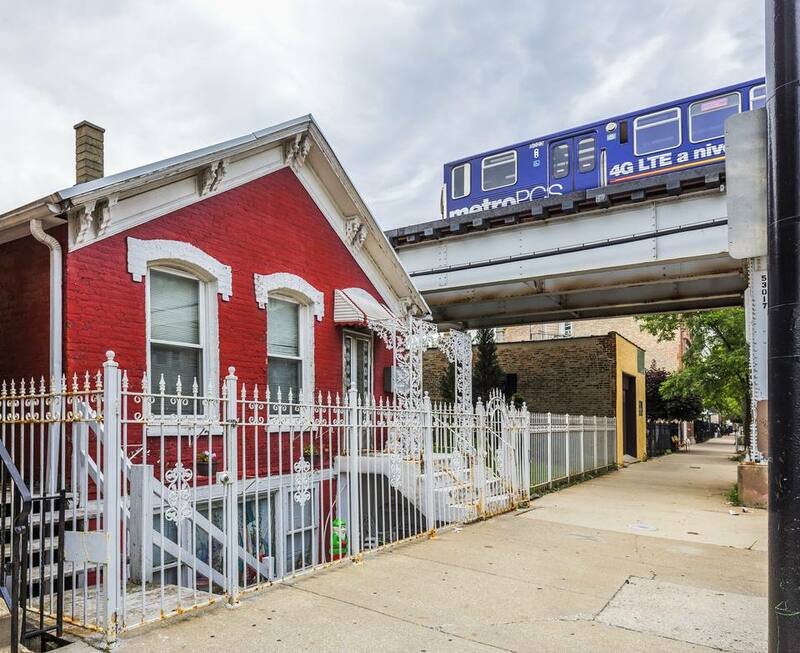 Generally, if a house is located next to the railroad, its feng shui is considered challenging because of the constant strong movement, as well as strong sound vibrations from the passing trains. What can you do to make it better? First, let me say that as powerful as feng shui is, it is not a cure-all solution. No number of chimes, mirrors, Buddha statue or crystals will help you where stronger action might be needed. Feng shui is about working with subtle energy, and in order for this subtle energy to work, often the preparation work has to be done first. For example, if the level of noise is too high, playing soothing music will only go so far. You might have to look into practical solutions to deal with the noise level. Soundproof your home. Look for practical ways to lower the levels of noise, especially if you live close to a busy railroad. Create a visual separation between your house and the railroad. Landscaping can work very well in this case; a tall row of thick evergreens will not only create a visual enclosure but will also absorb some of the noise. Find ways to deflect, or dissipate the strong energy coming towards your house. Bagua mirror can work well in this case or any other similar objects in your garden or in the windows facing the railroad. If you have powerlines nearby, be sure to understand the issue of EMF pollution and see what steps you can take to strengthen your health. Be sure your bedrooms are located further away from the railroad, in the quaintest part of the house. Focus on creating excellent feng shui in your home to counteract the challenging feng shui coming from the outside. While working on improving your situation of living in a house next to the railroad, stay open to the possibility of moving. Focus your intent on living in a house with good feng shui energy, be it your present home or a future one.